President Donald Trump joked about fake Indian Elizabeth “Pocahontas” Warren Thursday night in Montana. President Trump apologized to the real Pocahontas but not to the fake one. Elizabeth Warren lied to jump over qualified minority candidates and land a position at Harvard University. Warren lied about her heritage for years. 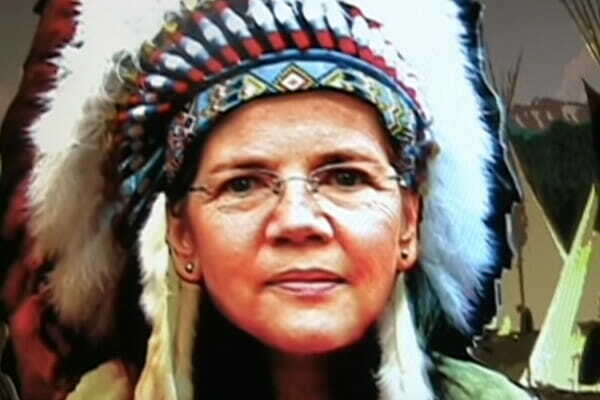 She has no links to any American Indians. It was all a lie. On Thursday night Elizabeth Warren told President Trump to quit obsessing over her genes. She then went on to defend illegal alien kids.